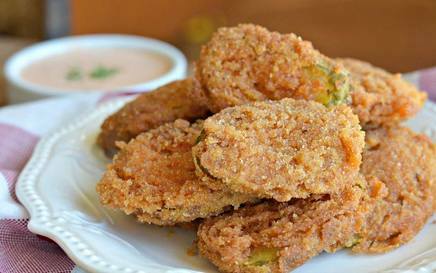 Extra crispy deep fried pickles! Crispy deep fried dill pickles are a perfect appetizer for just about any occasion, and now you can make them from your own kitchen with just a few simple ingredients. Pickles come in many varieties – dill, bread and butter, and sweet to name a few. They come whole, sliced lengthwise, or cut into round discs. This recipe from My Latina Uses the hamburger sliced dill pickles., but you can always try another variety as well.